What are the circumstances of ownership? How can ownership be negotiated for (or against) myself? The answers to these questions would ideally be reached peacefully, but the unfortunate reality is that if both parties are unwilling to negotiate the terms of ownership, the ensuing legal battle could be prolonged for a lengthy period of time and result in a loss of productivity, emotional distress, and hefty legal fees. Our founding attorney, Richard M. Renkin, recently sat with Trevor Kupfer of Super Lawyers to discuss the nature of family businesses during divorce proceedings. 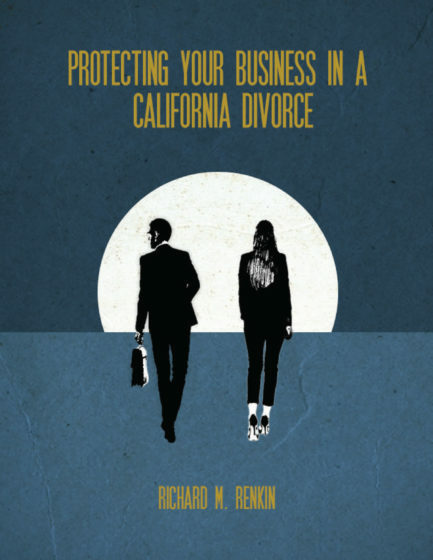 Thanks to Richard’s 30+ years of experience in divorce proceedings and family law, he was able to provide great insight as to how the state of the family business after a divorce most often comes down to just one thing—a willingness to cooperate. Richard goes on to discuss other aspects of the state of a family’s business following a divorce, including how careful pre-divorce planning can help make all the difference in determining next steps. To read the full text of Richard’s Super Lawyers interview, please visit their blog here. Representing residents of North County, attorney Richard M. Renkin has particular experience in protecting the interests of business owners, executives, professionals, investors, and other high-net-worth individuals in divorce proceedings. To request an appointment at our offices in Encinitas, please call (888) 837-3564 or inquire online today.